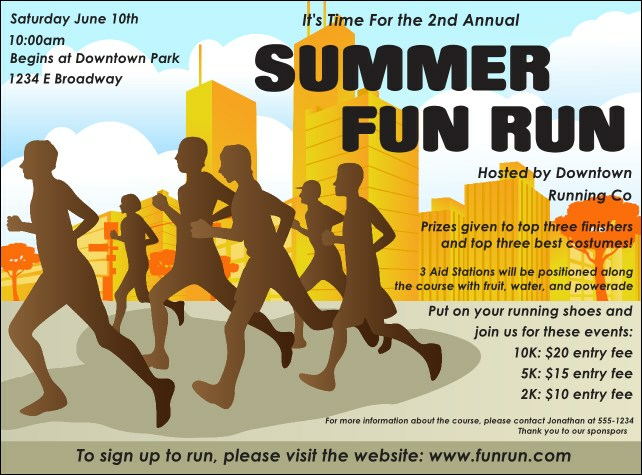 Promote a healthy lifestyle around your community with the Fun Run Flyer. Gold-toned buildings stand in the distance, with the brown silhouettes of runners jogging by. Fill in twenty-one lines of event details on the easy template below and we'll send them your way!